For the first time, I watched a movie outside India (even in India I don't watch much). 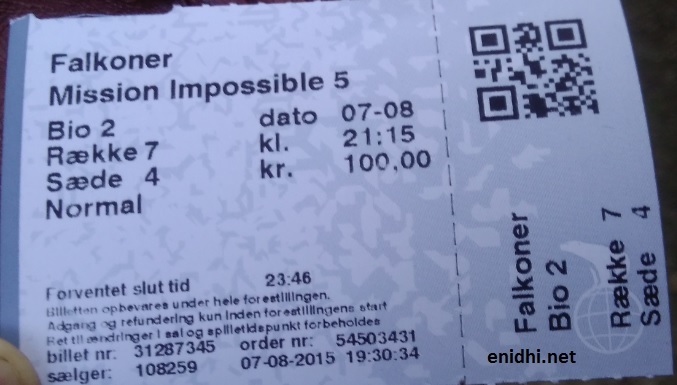 This post shares my experience of watching a movie in Copenhagen and a brief review of the Tom Cruise starrer MI-5, Rogue Nation. I went to a theatre called Falkoner Nordisk Film Biografer in Fredrisberg area. Ticket price was 100 Danish Kroner, which is INR 1000. I went to the counter, bought a ticket and came back again by show time. It was a 9.15 PM show. Before the show there were some app based contests- one of the audience won it and his photo was displayed on screen. Everything was in Danish and I couldn't understand anything. Then started a count down which I thought was for the movie, but that count down ran several times without anything meaningful- just showed some animations. 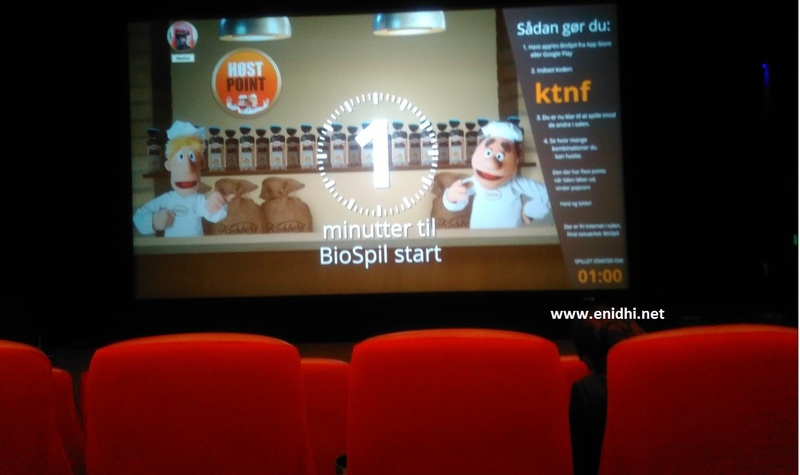 Then there were a series of advertisements, which went on for at least 20-minutes, testing patience. Much much more ads than what we see in India. The seating was fine. I took a seat in middle row, which gave me lots of leg room. Middle row had two seater sofas, so it was more comfortable but I didn't have centre armrest. Interiors were basic- no fancy designs. Next to me was a big macho man. Finally the movie started. Surprisingly there was no interval. Entire movie was completed in one shot (MI 5 is little over 2 hours in length). 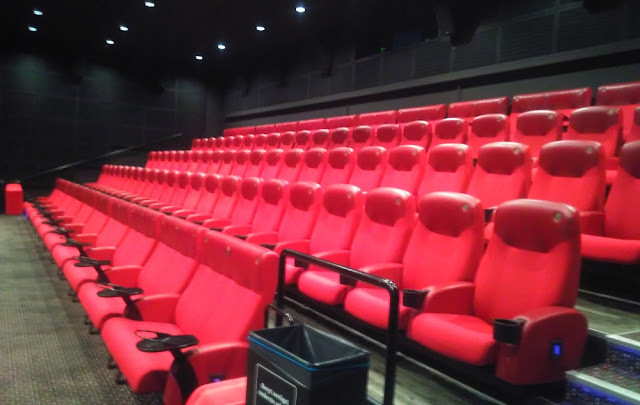 I took a look around- all seats were full as the movie began. Mission Impossible 5 Rogue Nation was introduced in Denmark little earlier than India. I could have watched it and reviewed it ahead of others, but I was busy with other things, so watching and writing review got delayed. MI-5 was another action film with thin story line and not so great action. 2. Despite being in today's age, plot still relies on sensitive information stored on a pen drive in some super secure building. An App or MicroSD card or things like that would have been more modern. 3. I didn't understand how Ethan escaped the first gas chamber. 4. Why not carry a handheld oxygen bottle while going under water? That would have given several minutes more and some drama could be cut. Once the movie ended we left through same door as we came in- not sure if that was because it was last show. There were other doors marked exit though. At some moment I lost interest and dozed off for few mins (It was also like 11PM). Overall I would personally rate it as an average movie. It has some action to keep the die hard fans entertained. But Tom Cruise is getting old and the series is getting milder. It was little late in the night.. that also would have contributed. Hmm, Hop Ethan Hunt didn't get disturbed by snoring in his crucial mission! No popcorn? Thanks for telling about the movie.